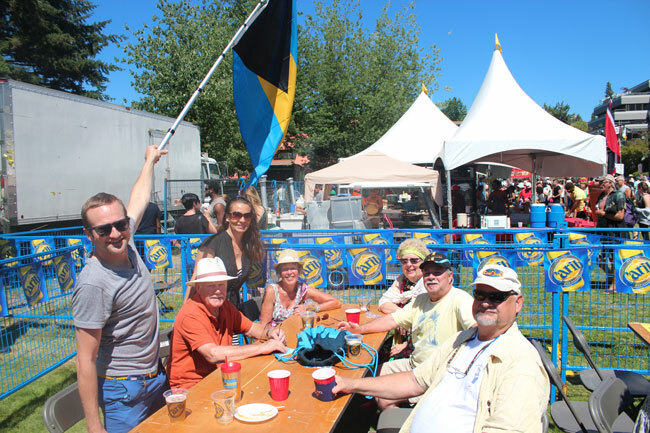 It's only been a few months since Nassau born Chris Lowe of Vancouver started the "Bahamians in Vancouver" facebook group page in hopes of finding other Bahamians in the area. When he did, it saw instant results, as within 24 hours the page had over 40 members. 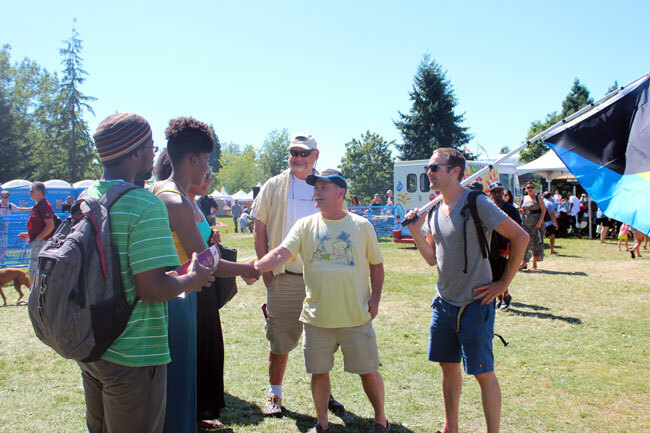 Those that could attend made it to the first meetup within the first month hosted at the home of Gareth and Nina Hanna, and a second meetup was scheduled for July 27th at the Caribbean Days Festival in North Vancouver. 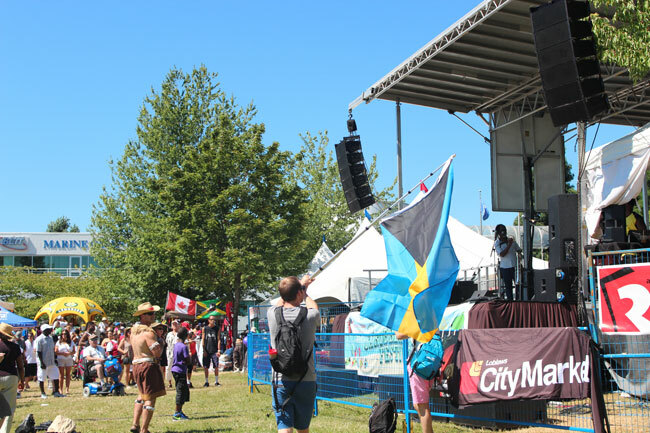 The event is organized by the Trinidad and Tobago Society of B.C., and it encourages other nations of the Caribbean to come together and celebrate their cultures. The event is over two days formally but the Society hosts many other events throughout the year. 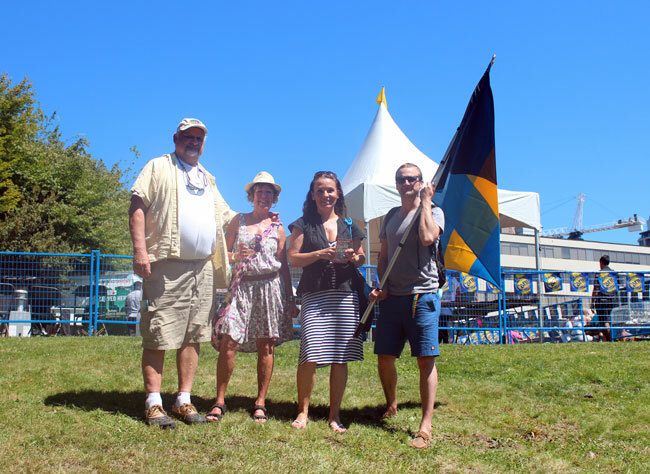 We set a time to meet, and Chris instructed 'under the Bahamian flag' which I thought odd as I know the group was not formally participating, but only attending. I'd never been to the Festival before so thought they must have flags perhaps of all the nations flying. When I arrived off schedule I was lucky to run into a Jamaican friend, who helps with the event, and runs the Facebook page 'Caribbean Vibes'. 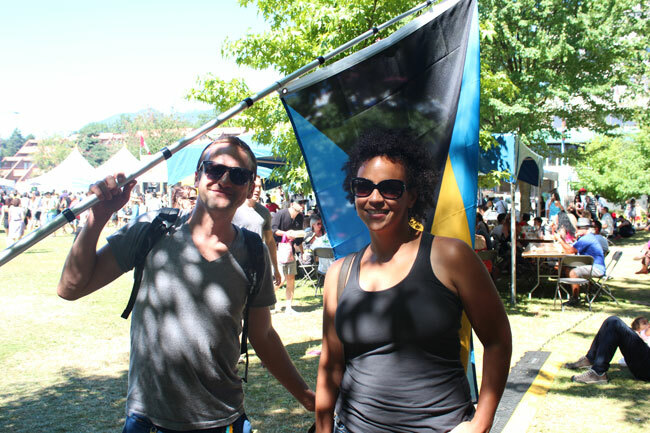 Trevor told me that the Bahamians were around as he'd seen their flag earlier. I knew then they were not at a stationary location. I started walking around and it only took me 5 minutes to spot the Turquoise, Black and Gold flying above heads at the already very busy event early afternoon. Thanks to Chris and his steadfast carrying and waving of the Bahamian flag we had no trouble finding one another over a 4 hour period. A group of about 12 of us overall showed up that day. Some of the group were university graduates, working professionals, or enjoying retirement, and one was just visiting from Nassau. It was great to make new friends, and discuss The Bahamas. It was surprising how many people in the crowd did not recognize the flag. We hope to change that next year and have a stronger representation and participate in the festival officially with the help of Tourism. 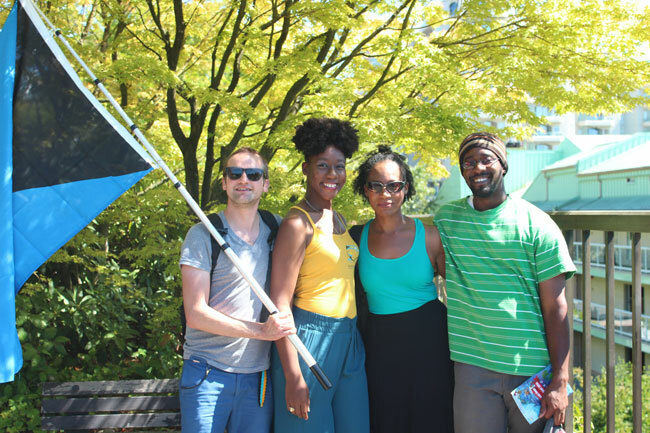 Bahamians who live in Vancouver or throughout B.C. are encouraged to join the group. Since forming the group, the Bahamas High Commission in Canada has made contact to provide pertinent updates that may affect Bahamians living in Canada or abroad. 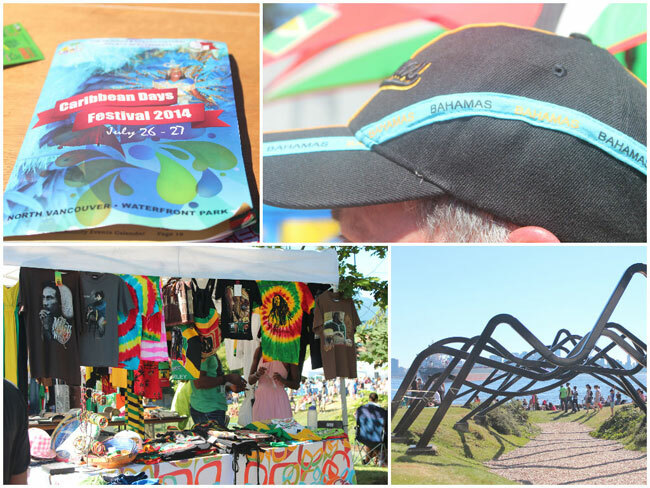 * Are you part of a group of Bahamians who have teamed up in a foreign country? Are you doing big or interesting things while living abroad? I'd like to hear from you. Email me today and we may just feature you or your group.